It’s nice to get away on courses with Sensei……. Everyone was keen to share knowledge and were all patient with each other to get to the bottom of each interpretation. Often with a lack of good instruction many of the attending Sensei had worked hard and researched well to obtain application and understanding to the Kata that they had been taught. Others had researched Aikido and Ju Jitsu applications and had excellent blending, locking, throwing and dislocations to each move…. Some had gone to the Okinawan roots of their Japanese art and explored the additional training aids and weapons, also exploring the Bubushi, the much vaunted historical text of modern day Karate……. Finally someone got to ask Sensei what he thought were right applications…..
“You didn’t let me finish…..” replied Sensei realising that his usual thoughtful pauses had been mistaken for a finish…..
“I still haven’t finished” said a resolute Sensei, determined not to be pushed into a “quick” answer. “Some Kata are a complete system, remember that that when they were invented virtually no one could read or write so they are the product of an oral tradition. Many teachings were passed on in story, song, dance or play form, rhythm also played an important role in memorising them, kata falls into all of these categories. The myriad of techniques had to be reduced to a “shorthand” of mnemonics brought down to their body principles and condensed into sequences that taught advanced skills and strategies. These training methods also had to be concealed from the prying eyes of adversaries. 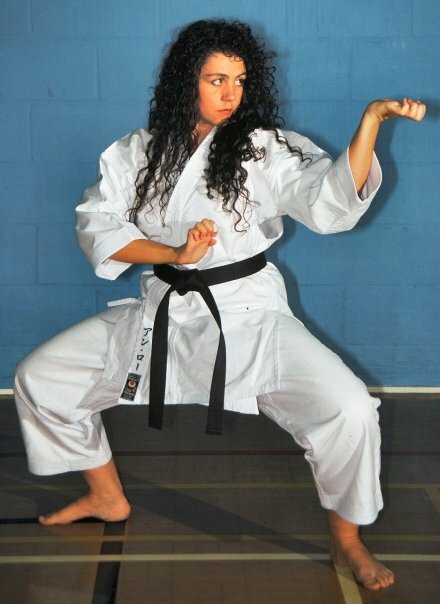 Thus Kata like “Kushanku” and “Chinto” came into being, each one being a complete art or style of it’s own when the underlying reasons and principles are penetrated the body skills can be trained and then each skill has applications that include atemi, locking, throwing, dislocation, escaping and so on. Previous Previous post: Looking Back Down Our Eyes..